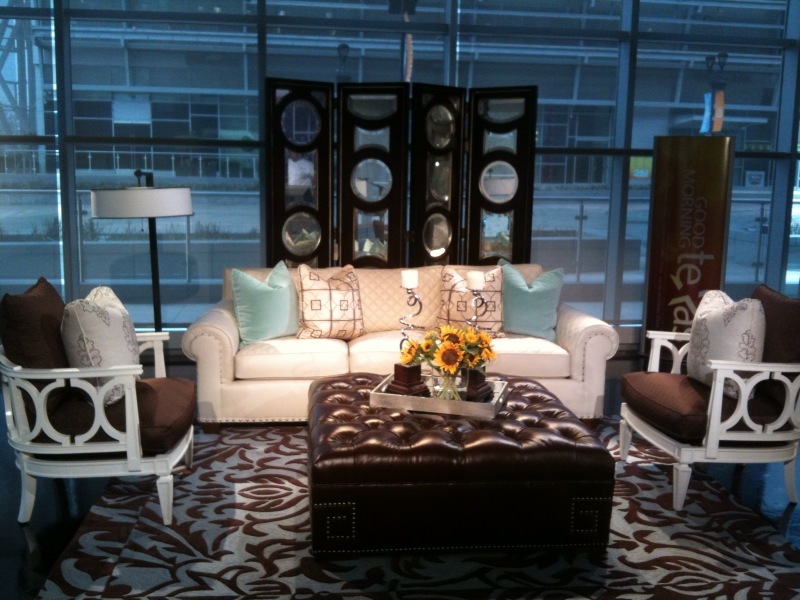 Today on Good Morning Texas, I featured a sofa by Century that has everyone around IBB white hot! With style that seems to channel Chanel, this beauty will have you swooning when you see it in person. 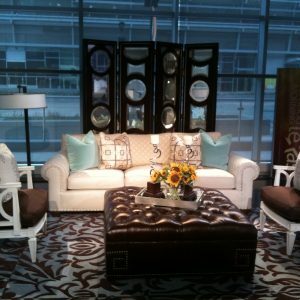 The hand painted white chairs & leather cocktail ottoman are also by Century. Watch the video for the segment here.